It is impossible to discuss Orson Welles’ Citizen Kane (1941) without examining the film’s two central figures: William Randolph Hearst, the American newspaper magnate that the film’s central megalomaniac was based on, and Welles himself, that sensational wunderkind whose talents and ego burned too brightly while too young, dooming himself to a lifetime of exclusion and isolation. 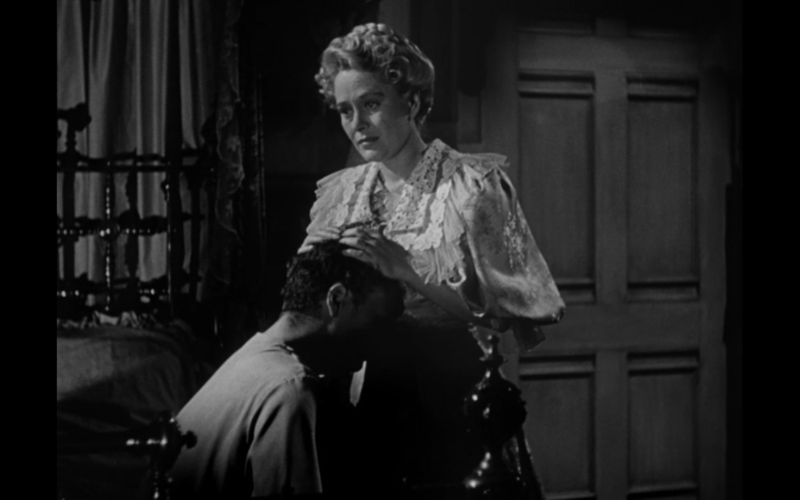 Likewise, it is impossible to discuss his second film, The Magnificent Ambersons, without examining how the film was stolen from Welles behind his back, ruthlessly re-shot and re-edited by the studio, and released in a bowdlerized version that essentially changed the entire tone and theme of the film. Waiting until Welles had left America to begin production on another film in Brazil, RKO Radio Pictures cut an astonishing 40 minutes of footage and filmed a new happy ending. The missing footage was then destroyed, a loss which to this day remains one of the greatest tragedies in film-production history. 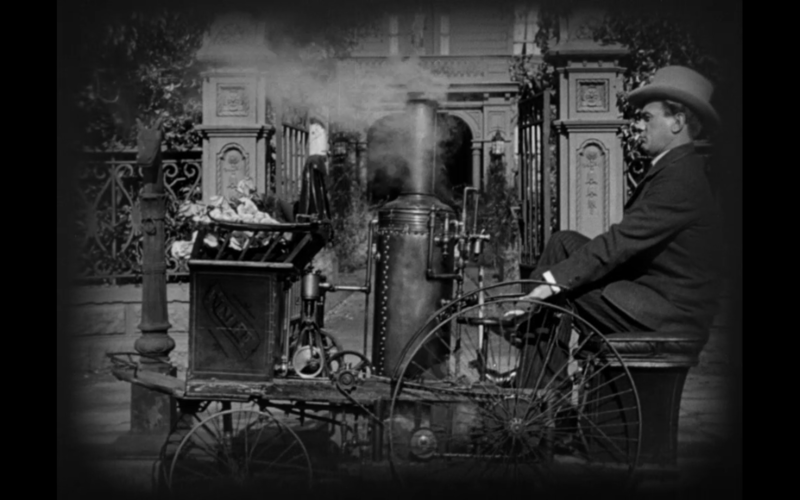 And yet, despite the studio interference, one cannot help but watch The Magnificent Ambersons and feel a sense of awe. The performances, the cinematography, the melancholy tone of loss make it one of the most technically inspired films of Hollywood’s past. 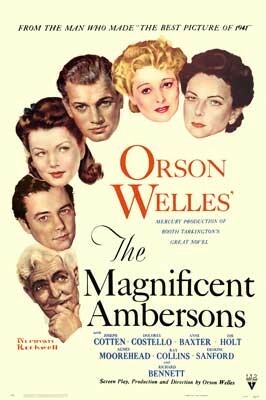 Based on the Pulitzer Prize-winning novel by Booth Tarkington, The Magnificent Ambersons charts the splendor of the eponymous family of Indianapolis aristocrats near the beginning of the 20th century followed by their eventual downfall at the hands of the arrogant, self-centered George Amberson Minafer (Tim Holt). Spoiled rotten as a child by his mother Isabel (Dolores Costello), George develops a contempt for “riff-raff,” i.e. anybody of a lower social standing than himself. His venom is particularly directed toward Eugene Morgan (Joseph Cotten). Eugene’s crimes are twofold. First, he is a manufacturer of automobiles, an invention which George despises and considers a “useless nuisance, which had no business being invented”. Second, George eventually learns that, decades ago, he and his mother were in love and would have been married if not for Isabel’s pride. Horrified by the thought of town gossip and the sullying of his mother’s name by her supposed affair with “riff-raff,” he cruelly upends the town trying to stop the rumors, forces Isabel to choose between himself or Eugene, and denies him the chance to visit her on her death-bed. When George’s father also dies, he finds himself literally incapable of managing his family’s finances since he never studied for a trade or profession, thinking such a thing beneath the dignity of a person of his social standing.1 Penniless and friendless, the film ends with George isolated and alone in a world that has moved on beyond him. At least, that is where it should have ended. Fearful of such a tragic ending, RKO added a new ending where George was hit by an automobile and reconciles with Eugene and his daughter Lucy (Anne Baxter), the one-time object of his affection. Ironically, this new conclusion was not the brainchild of some melodramatic studio executive but was actually Tarkington’s original ending. 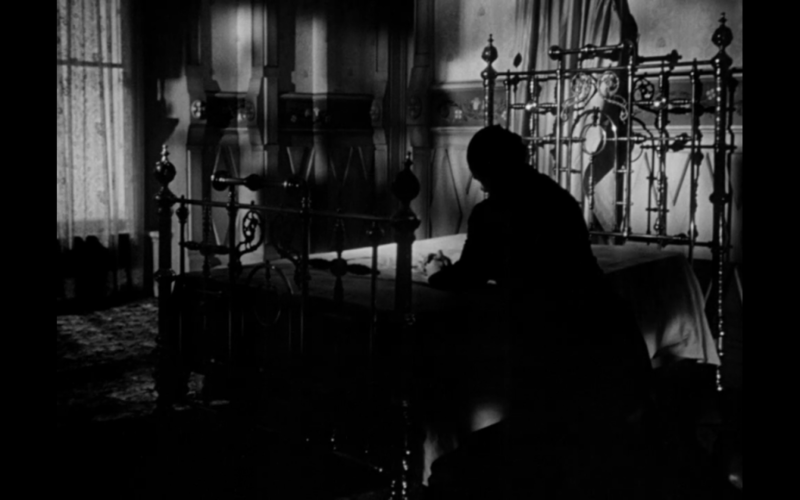 But it spits in the face of Welles’ original intentions: The Magnificent Ambersons was a sad tale of loss in the face of industrialization; a eulogy for the halcyon days of yore smashed by the inevitability of Progress. Certainly there was cathartic poetic justice in George’s comeuppance, but to reduce the film to a simple character study would miss the point. It’s a cultural study. To achieve this end, Welles peppered the film with visual language taken both from early silent films and the theater. The earliest scenes are shown with dreamy irises swallowing the edges of the screen. A montage showing the progression of late 19th century fashion trends is accompanied by Welles intoning narration like a Japanese benshi. Welles and his cinematographer Stanley Cortez would frequently compose shots like tableau vivant with the performers, sets, and props studiously arranged in a manner that would seem grossly exaggerated or impractical in real life. Their frames pay just as much attention towards two-dimensional aesthetic harmony as three-dimensional blocking. And, oh, the blacks and whites! 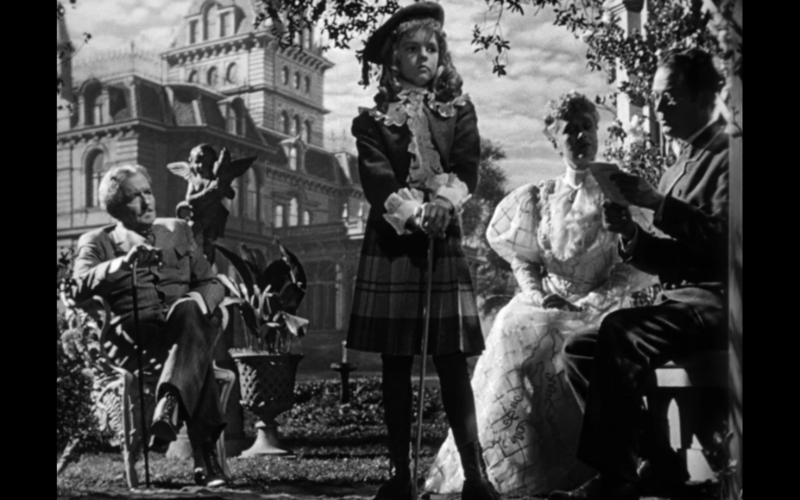 With The Magnificent Ambersons Welles and Cortez prove one of the fundamental truths of the cinema: black-and-white cinematography can be just as colorful and vibrant as Technicolor. The Amberson mansion is one of the greatest of all movie sets: built with walls that could be moved, removed, or altered to better accommodate cameramen, one moment it could be suffused with brilliant sheets of light and another with swallowing pools of shadow. Watch how the camera effortlessly glides through a crowded ballroom in an early sequence with such finesse that it nearly rivals the camerawork in Jean Renoir’s The Rules of the Game (1939). 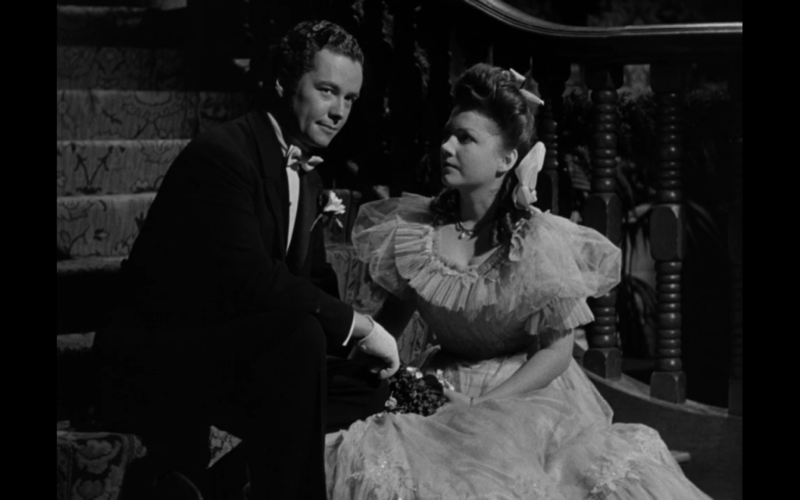 The Magnificent Ambersons was a work of pure, deliberate genius. And though the world may never see the film as Welles originally intended, we can still look at its mutilated remains and marvel at its beauty much as passersby might regard the tattered remains of the Amberson mansion and dream of its forgotten days of glory. 1) In a curious omission, Welles seems to have not included possibly the best line of the novel: “Really, don’t you think that being things is rather better than doing things?” This line, in addition to summarizing in a few words the whole mentality of the fin de siècle idle rich, encapsulates George’s single-minded egoism and arrogance. I also could not find it in the production’s original shooting script.